A colleague whom I have never heard from, for almost 20 years called me one November evening in 2000 from Dubai. After quickly exchanging greetings he strongly warned me not to travel to Eritrea. He said he was extremely worried that the President is going to execute me and my colleagues, just like Saddam Hussein did to his son-in-law who had defected to Jordan together with Saddam’s daughter and had returned to the country based on an amnesty that was granted to him. He was executed upon arrival. I was in Norway that time and my colleague was referring to my preparations to leave to Eritrea with my G13 colleagues to meet the President who invited the group for a discussion. I appreciated his concern, though I did not like the sad analogy, and stated that I knew the risks when I signed the G-13 letter and could not back off at such a crucial moment. For me it was not just going back to meet the President, but it was going back to Eritrea and living there after a short stay in Norway. I may have made many mistakes and wrong judgments in my life but my participation in the G13 is something that I will never regret. I also feel honored to have participated in the Addis meeting last month. I may have had many joyous moments in my life, but the most memorable were those minutes in the evening of 25 November 2000, I spent with my colleagues, face to face with President Isaias, in his own den, telling him emphatically that he is leading the country to disaster. I remember our colleague, Meriem Omer getting furious at him and many times she looked like she wanted to take him by the sleeve of his shirt. I cannot talk on the behalf of my colleagues, but what I can say is that what I did, as a participant in the group, was not because I was a hero or more courageous than others, but just because circumstances then, allowed this event to take place. During that period there was a rift in the leadership of the PFDJ and the president was cornered and weak. He was just playing with time and his survival skills to strike back at the right moment. 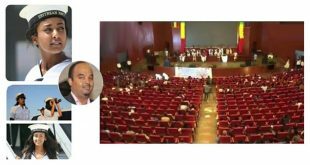 As usual with all Eritrean meetings there are many conspiracy theories on the G-13, the most ridiculous I heard was that it was a theatrical show arranged by the President himself, undermining the risk the participants took. Ten years is not a long time, but those who were 10-15 years old then are now in their twenties and our memories fade away with time. Many things has changed since then and I would like to reflect back at the event, circumstances that led to it, where we stand today and what we can learn from it. Facts on the ground: Just one month before the third Ethiopian offensive, Alamin Mohamed Seid, held seminars inside Eritrean and abroad indicating that the Government of Eritrea (GOE) was well prepared for the war with Ethiopia. 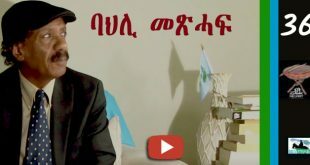 He indicated Eritrea will not be the first one to start the war, but it hopes the Weyane will do so because this time he said, ‘we are going to take Mekele’. He emphasized that they had the capacity to do so. Before the second offensive, he had said, “Weyane is now history. It is over”. The President himself had made many funny arrogant remarks before that like ‘leaving Badme means that the Sun would not set’ and ‘the Weyane are just looking at catalogs and shopping planes ‘ to the applause of the same ‘Nihna Nsu, Esu Nihna’ crowds we saw in New York recently. As The Tigrinya saying goes ‘Bi kebero Abiikha bi Himbitata’. 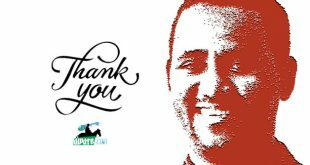 He had refused previously all peace initiatives asking him to withdraw from Badme, but now he was forced to lose sovereignty over large junks of Eritrean territory, again claiming to have won, to the applause of his koboro supporters. The 8th Central Committee Session of the PFDJ was held between 31/8 -02/09/2000. At that meeting the President was confronted with harsh criticism the way he handled the war. Some of the decisions taken and that were made public later were: to form a committee that would review in detail the conduct of war with the Weyane as well as the peace process; to immediately commence the preparation necessary for the implementation of the constitution; to form a committee to study policies, decision making process, method of work, distribution of authority, accountability & control in the PFDJ and the GOE. It was also decided that the next PFDJ Congress be held within 6 months by 02.03.2001. The 13th session of the ‘National Assembly’ meeting convened 29/09/ – 02/10/2000. During that meeting it was decided to: to hold elections on the basis of the constitution not later than the end of 2001; to form a committee charged with drafting laws governing political parties, to form a committee to review the 10 years performance of the GOE as well as specifically the third Ethiopian offensive. The reformers then seemed to be too many and had the upper hand. Since the arrest of the G15, the PFDJ has never conducted any meetings and the President is running the country single handedly. Who is then the traitor? The G15 or the President? Who is non-Eritrean? The G15 or the President? Who is the defeatist? The G15 or the President? 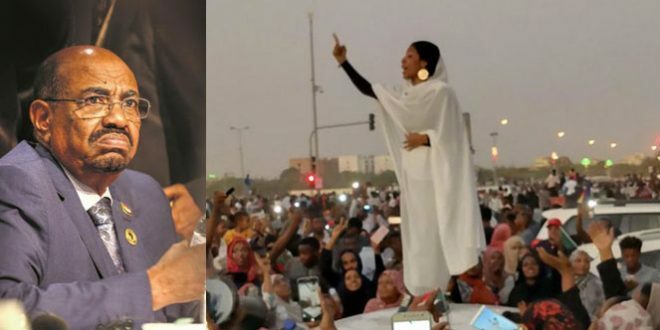 The Eritrean opposition composed mainly of the former ELF, has been crying foul since independence but their messages were overtaken by the euphorbia of the independence. Some them including some leaders agreed to drop their arms and join the GOE as individuals, but others refused and continued to oppose the regime despite all odds. To them we owe them credit that they kept the opposition alive. They stood with Ethiopia in accusing Eritrea in beginning the aggression in 1998. They were vindicated when the Eritrea/Ethiopia Claims Commission declared that Eritrea had violated the law on the use of force in starting the 1998 war between the two states. The young Eritrean press had been very critical the way the war was handled. Again, I stand by my previous assertion that we had a relatively democratic space in 2000, despite all injustice committed. This was not a grant from the President but was forced on him by some PFDJ leaders at that time that pushed for reforms. To negate this is to negate a historical junction in our history, to undermine the role of the G15. I come from the ELF political school myself, but we need to be objective in our assessments and evaluations and to give everyone his due. The launching of the then independent business oriented Asmarino.com was a major breakthrough. It broke the monopoly of the apparently neutral but essentially pro-government Dehai. 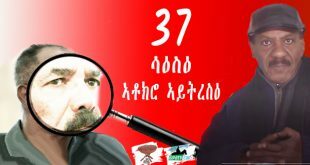 After the signing of the agreement, articles highly critical of the GOE started to appear like Saleh Younis’s “Tewgah’mo”, and other articles by Yohannes Ogbazghi, Tbreh O.E etc. There are several important articles published at Asmarino then, but are not archived unfortunately, to be able to access them today. The critical articles at the cyber space had accelerated with the launch of Awate.com in September 1, 2000. 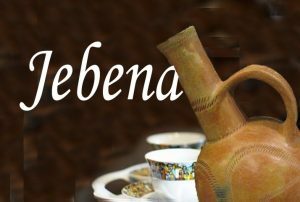 The simple reason I prefer to write at awate.com is that they have a very good archive system, unmatched by any other Eritrean website so far. Asmarino has been on and off and so many old articles are lost. I hope they would make all old articles available. These articles are a national treasure and we need to preserve them for the coming generations. Most of the criticism centered about the timing, venue, why it was a closed meeting, who funded it, etc. The meeting was funded by the ‘Heinrich Boll Foundation’, a German non-governmental organization that promotes democracy and good governance. The meeting was held 10 years ago, 23 -26 September 2000 where the participants discussed in detail the situation in the country and decided to write a private letter to the President. They put their names and addresses on it and signed it. In brief they stated the following: Now was the time to speak and further silence could endanger the interest of the country and compromise their historic responsibility; expressed unreserved support for the GOE in its defense of the country; admired the Eritrean Defense Forces and the people for foiling the Ethiopian aggression; expressed concern for the tragic conditions of the victims of war; indicated that Eritrea’s image has hit rock bottom; recognized notable achievements but indicated GOE lagged behind in the development of democratic institutions; called for reconciliation and national unity; emphasized the importance of collective leadership; indicated there was a rift in the leadership that needed to be carefully handled; requested the immediate implementation of the constitution; requested that the special courts be abolished; appealed that people languishing in prisons for years without trial be released or be brought to a court of law; and criticized the dominant role of the PFDJ in the economy. In brief they said loudly and clearly NO to one-man rule. They also criticized the other members of the PFDJ leadership for being silent and for allowing such a rule to flourish. A criticism that the G15 seemed to had taken seriously. They had also broken the repressive culture of the PFDJ, something the President was scared of. The letter was dispatched to the President and to the Eritrean Ambassador in the USA on October 3, 2000. By October 7, gstefanos@yahoo.fr (possibly a GOE security agent) posted the letter at Dehai.org . He dubbed it as the ‘Berlin Manifesto’. It seems it was purposely leaked. Isaias who was at an IGAAD meeting in Sudan, was back by then. The GOE probably thought the leakage of letter, would descript the group as Weyane agents, as emotions against Ethiopia were high. It back fired and generated heated discussion inside Eritrea and abroad. 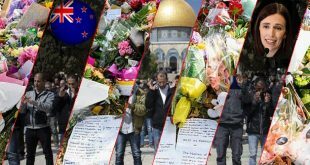 By October 10 the President wrote to the group indicating that he was ready to meet them and discuss with them at any place they choose. Internally the private press widely wrote about it. The positive reply by the President that he would meet the group gave hope that something could come out of it. The invitation paralyzed the group’s intention to hold a larger meeting. The dictator, an experienced survivalist politician had his own agenda and strategy. He had to conduct secret campaigns before publically criticizing and undermining the content of the letter. The GOE press started a smear campaign against the group. 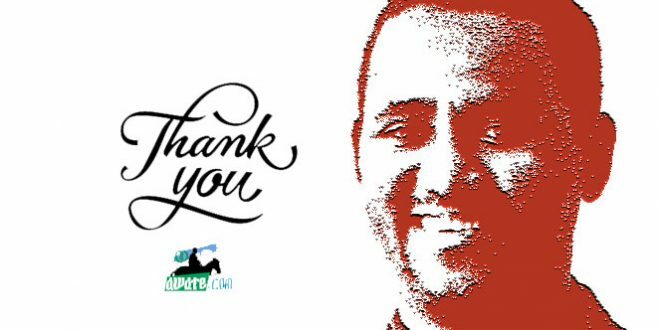 Attempts to publish the whole letter in the private press ended in the imprisonment of 8 journalists (reported by www.misna.org 17th October but link missing). Some were later released and others were sent to national service. Though the G13 letter could not be published, things later changed and the G15 open letter (unfortunately, a link could not be found) to the president was published in the private press. October 2000, described it as the ‘Rebel of the intelligentsia’. The BBC in its news item entitled ‘Eritrea confronts the future’ stated that the most famous criticism appeared in the ‘Berlin Declaration’. After 8 months from the Berlin letter, the G15 historic document ‘Open letter to all PFDJ members’ was published in May 27, 2001 accusing the president of conducting himself in ‘an illegal and unconstitutional manner’ as quoted in The chronology of the reform movement by Awate.com that documents events around this period. The website deserves credit for this. Though the President invited the group for a discussion, the GOE media continued its smear campaign against the group. It seemed the President did not expect the group to show up in Asmara. In defiance to the spirit of the letter, just before the arrival of the G13 in Asmara, the President fired the then Minister of Transportation and Communications, Saleh Kekia (member of the G15 later) who had been critical of the President at the PFDJ and ‘National Assembly’ meetings. The meeting with the President was brief and was just a public relations show by him. It was arranged on the last day most of the members were to leave Eritrea. He refused to discuss the issues. He first tried to intimidate the group by claiming that they did a great harm to their country and gave comfort to the Weyne by writing the letter and that they need to apologize for that and compensate for their mistakes by serving their country better. He claimed also the allegations were not based on facts and they ought to have consulted with him before writing an open letter. When the members stood by their claims, he withdrew his intimidation and said he was ready to work with the group and that his office was open to them at any time. 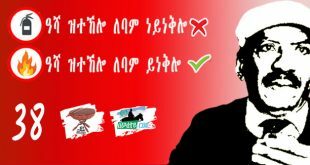 The group asked him that they wanted to hold a larger meeting in Asmara to which he responded that he will look into the matter. The letter was a collective consciousness by some of the ‘intelligentsia’ breaking the silence. 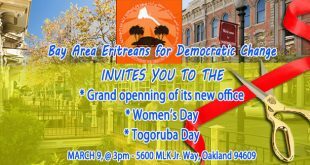 Together with the struggle by the private press inside and the cyber space articles and the Eritrean political opposition the letter added momentum to the struggle for democratic changes in Eritrea which continue unabated. If the President had listened to the G13 and later to the G15, he could have saved the country from sliding into a failed state. 10 years later there are those in the opposition who still have hope that he can reform. 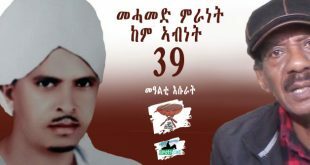 I pass my tribute to the late Dr. Reesom Haile, the poet and political activist who was a member of the G13. I express my respect to the other 10 members who stood by what they wrote in the letter and are actively involved in the opposition. 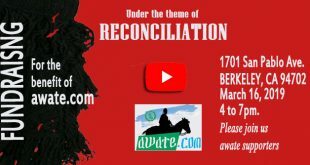 *This article is based on an account I wrote at awate.com in 2001, one year after the letter was written.